"Taking Care of Your Horse from the Ground Up!" Be Quick Horseshoeing, Inc. is devoted to providing quality, cost-effective farrier and horseman service throughout the Front Range of Colorado including Fort Collins, Loveland, Berthoud, Longmont, Boulder, Erie and mostly any location on the Front Range of Colorado north of I-70. Our mission is to be a world class equine resource service. 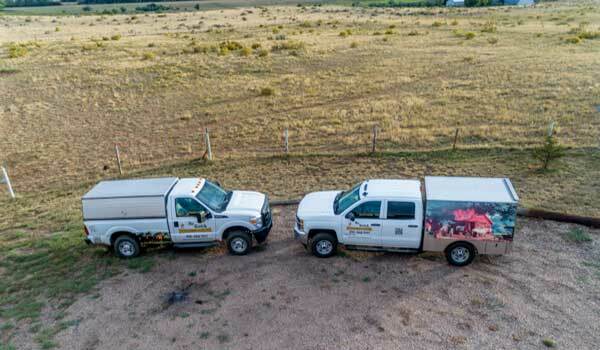 Our farrier service area is very large, ranging from Southern Wyoming, North of Fort Collins to South Denver and anywhere in between. We are able to service any number of horses at any location for farrier / horseshoeing service. Wanted: Full-time Farrier in northern Colorado. Multi-farrier business looking for an AFA Certified farrier to join our team. Company truck provided, office schedules appointments all supplies and expenses except hand tools provided. Must be goal oriented, good with customers and willing to continue education. Future part ownership possible. Job application needs to be completed before interview. Please fill out our Online Job Application and we will contact you for further information or to setup an interview. 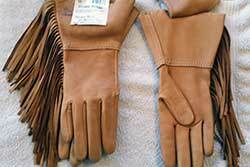 Our Farrier Services section details our farrier/horseshoeing services. See our News / Events section for Exciting Events at the Be Line Equestrian Center. Right and left, front and hind laser cut stainless steel. Can be used for AFA certification modifications clips and nail fit. We have a variety of styles and colors! We make sure all your horse's hoof needs are met! For horse's with foot or other issues. 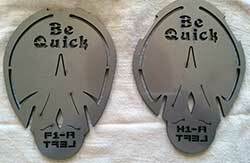 including Side Plates as well as many other performance shoeing necessities. Various types of pads and wedges, including Snow pads for the winter months. Articles written by expert farrier, Pat Hall. Be Quick Horseshoeing, Inc. farrier service area includes Fort Collins, Loveland, Windsor, Berthoud, Longmont and surrounding Northern Colorado towns.